A customer or prospect can reach out to you in a number of ways. 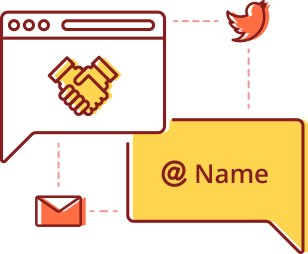 Respond to @mentions on Twitter, engage website visitors through live chat, call prospects, send emails, and manage all customer communication from CRM. Email, insights, and more, powered by CRM. Analytics help you constantly refine email communication with customers. Figure out the best day of the week to send out emails and campaigns by analyzing open rates, and learn which templates get the most responses. Have your preferred email inside Zoho CRM, and use both together. Get social with prospects and customers. Segment and receive notifications of posts and pings from your leads, prospects, and customers. 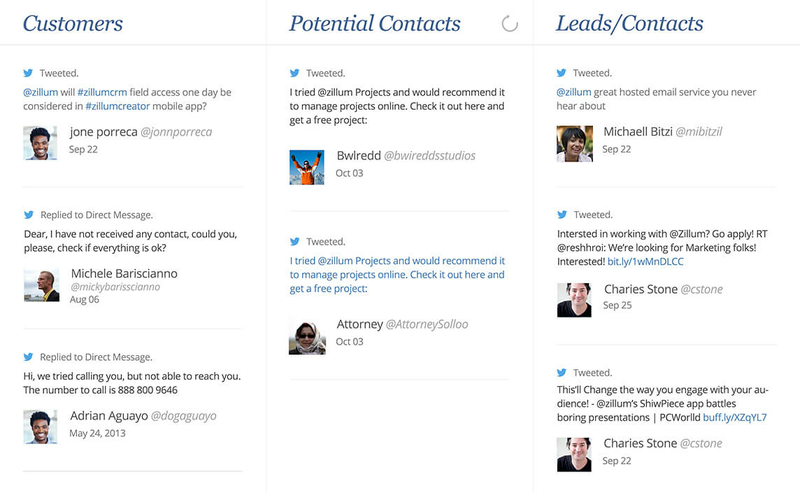 Listen to your customers and engage in conversations across Twitter, Facebook, and Google+ from within CRM. 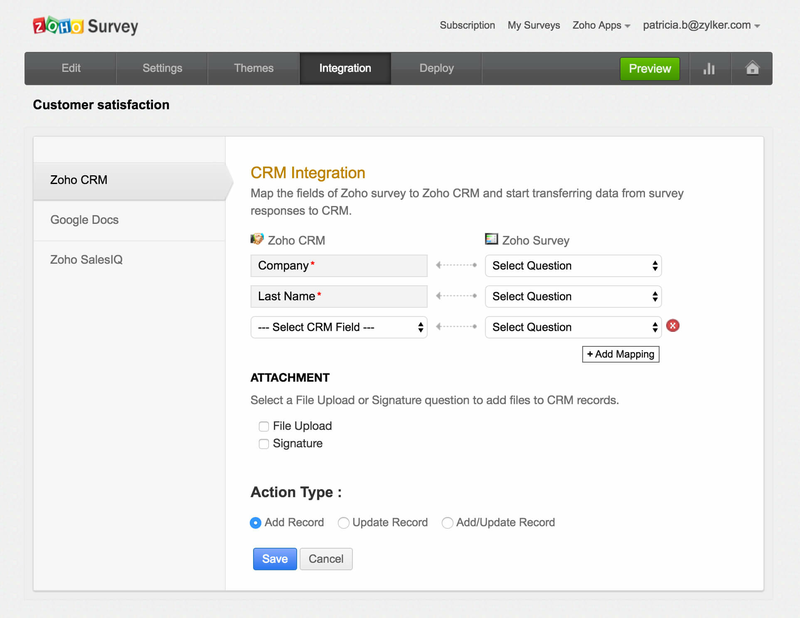 Integrate CRM with Zoho Survey and test new products or strategies, collect testimonials, and gather feedback. Sync your surveys with CRM and get notified about responses in real time. Share the results with sales reps to see what needs improvement. See all customer activity in one place. Have a 360-degree view of your contacts at all times. Manage tasks, meetings, notes, campaigns, and more. Use the check-in feature on the mobile app to record meetings with customers. 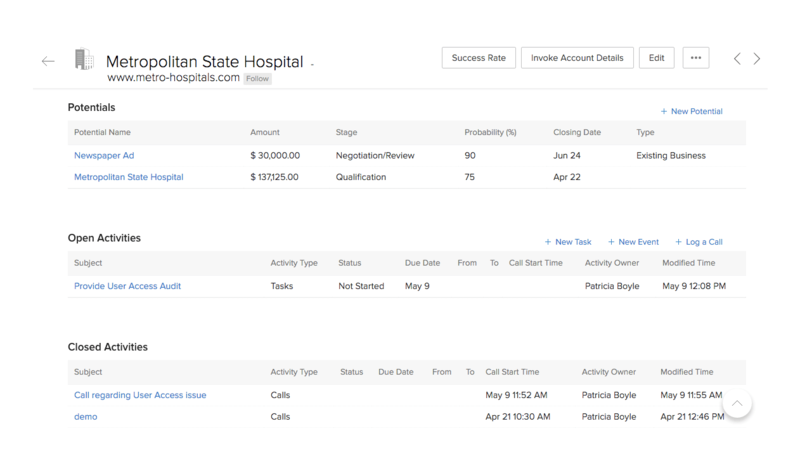 You can also notify colleagues that you have met with a particular prospect or customer so they can take the next steps.